How they rated - did any Chesterfield players really impress in draw with Dover? 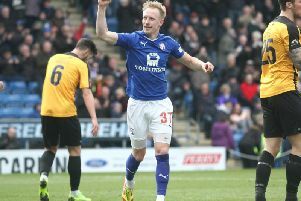 Chesterfield stopped the rot with a 0-0 draw at home to Dover on Saturday, but it was far from impressive. Few of the Spireites were at their best in the game, particularly in the first half, but they did show a little more after the break. It’s now five games since Town hit the net, but they came agonisingly close in the dying seconds of this one, Brad Barry and Curtis Weston denied by the post and bar respectively. Click the ‘slideshow’ logo on the main picture to see how we rated each Town man.